The Foodlets Blog: Da-Bangda - Create a seafood foodlet today! And here's something for Seafood lovers - the da-bangda campaign is on! We invite all seafoodies to create seafood foodlets. Yes anything that swims - fish, crabs, prawns, shellfish - the works! Bangda (a.k.a mackerel) is one of the most popular and easily available fish in the coastal region of the country. In Goa we have a number of preparations for bangda - rechad, rava fry, grass baked, curry, udda-methi to name a few. Bangda cutlets are enjoyed best in a bread, bangda pickle is a decent side-dish with a goan fish-curry-rice meal. 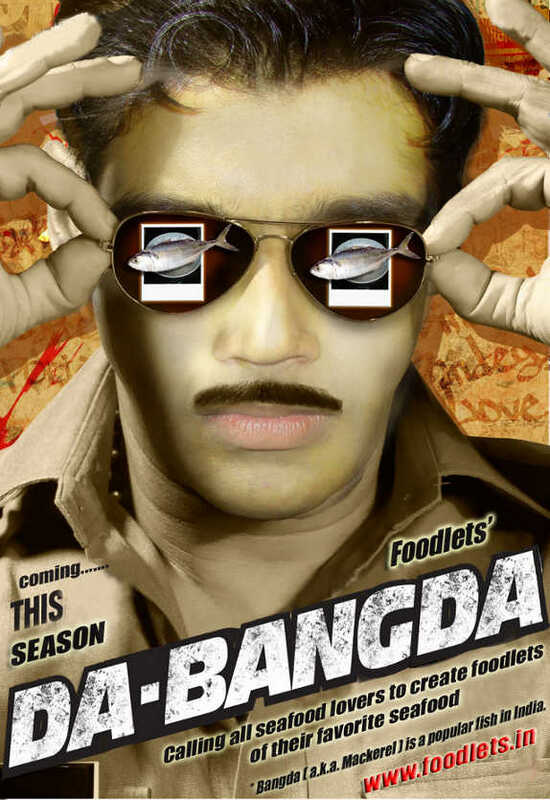 After you create the foodlet edit it and tag it as da-bangda - thats it! It's now a part of the Da-Bangda campaign! We thank Rohit and Rashmit for helping us create this campaign. Keep eating seafood, keep creating foodlets and tag them da-bangda. Love the site design. Very Sleek!